We love adding fruits to salad because it gives a touch of natural sweetness to the whole dish. In this recipe, we added mangos but you could easily replace with fresh peaches when they are in season. 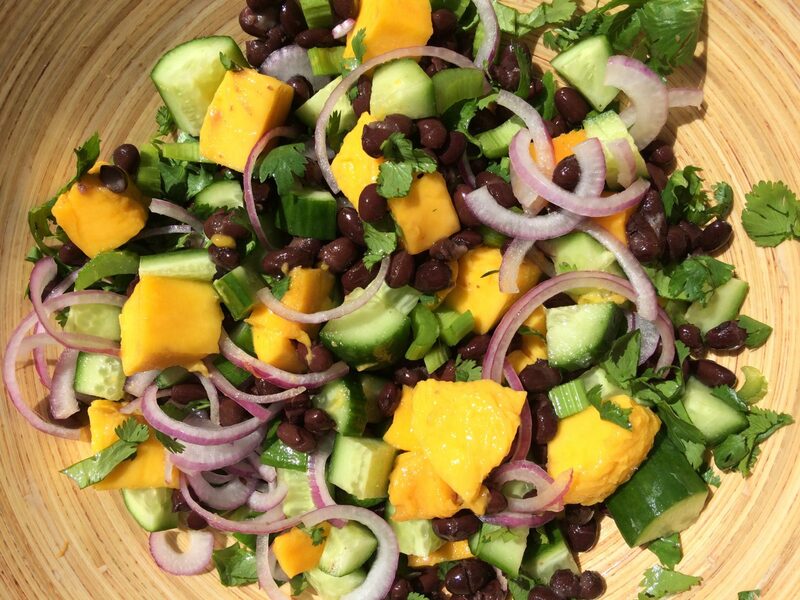 In a large bowl, mix together the mango, cucumber, celery, red onions, black beans and cilantro in a bowl. Whisk together all the dressing ingredients and adjust it to match your personal taste. Pour on the salad ingredients. Season to taste. Serve over the cooked quinoa.